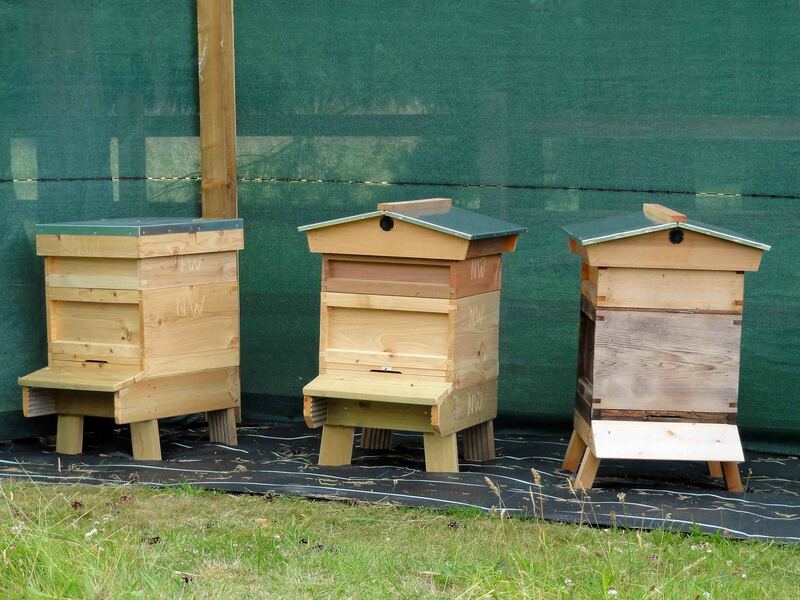 On Monday 11th July The Vyne took delivery of three beehives with the fourth scheduled for later in the month. These hives are Nationals a now very common hive and a development of the [WBC – William Broughton Carr 1890] design. They are simpler in construction not having the outer wall of the WBC. The National hive appeared around 1920 and gained popularity due in part to it’s lower cost and ease of maintenance. These single walled hives contain the Brood box at the bottom and above this the Supers which contain frames where the bees lay down honey stores to feed the growing colony. During the summer months each hive can contain up to 30,000 bees which are controlled by one queen. In the weeks running up to their arrival the apiarist carefully selected a docile queen which in turn has the effect of calming the nature of the whole hive colony. This was an important consideration for us as it makes introducing and settling the bees into their new home easier to manage and safer for the gardens team to work around. The bees are hybrids of the Apis Melifera honey bee that offer benefits such as higher honey production, gentle/non-aggressive, low swarm instinct. These are the three major characteristics that contribute to a successful foray into beekeeping. However it is well known that aggressive bees are also the most productive but tend to have a high propensity to swarm, an attribute we wanted to avoid not least because of their location in a public space. 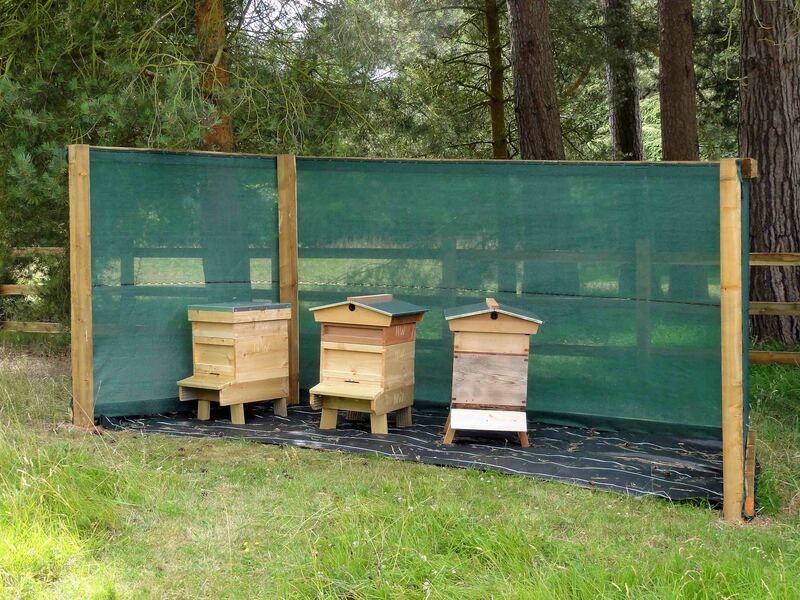 The purpose of the mesh windbreak is to force the bees to fly into the trees and above passing visitors as they leave to forage for nectar rich plants.